To be honest, I was born with fair skin. 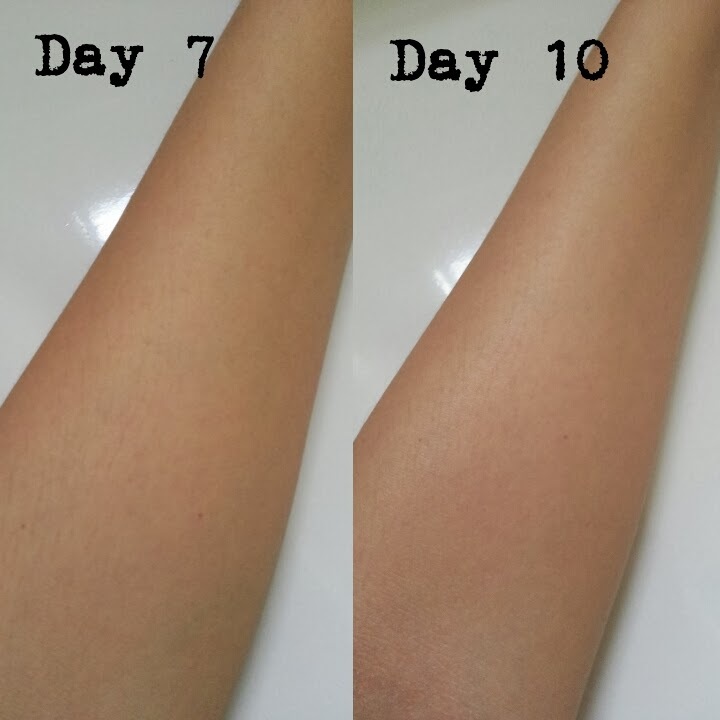 And I thought my skin would stay that way since I don't tan easily and even if I did, my skin goes back to its original tone after a couple of weeks. So yeah, like I said, I don't need whitening products..... until I had my second child. Besides putting on 30kg (lost 10kg right after my baby popped out, leaving me with 20kg to deal with) and saggy boobies (I miss those perky times! 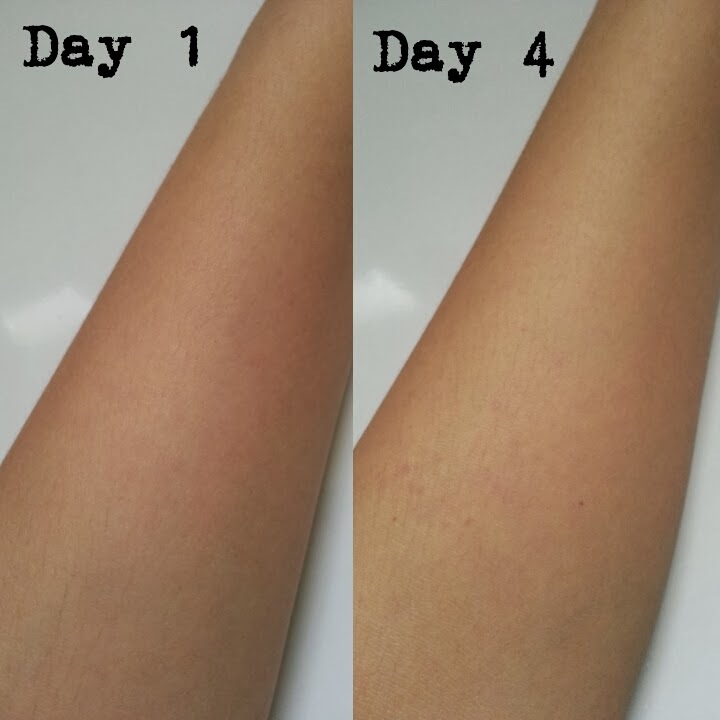 *sobs*), now I have to deal with dull and darken skin? People tell me to look at the bright side but hey, they're not the ones turning brown and losing their best assets, right? They wouldn't understand, I guess. So, what's the big deal about turning brown? It's no big deal really, but I do prefer to stay fair. 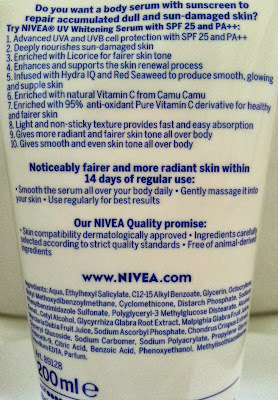 There's a chinese proverb that says (direct translation), 'A fair (skin) conceals 3 flaws.' It simply means if you are fair and rosy (think Snow White), and you've a crooked nose, some misaligned teeth and a pair of flat buttocks, your lovely fair skin shall minimise the so called imperfections. True or not, that's an ancient proverb. 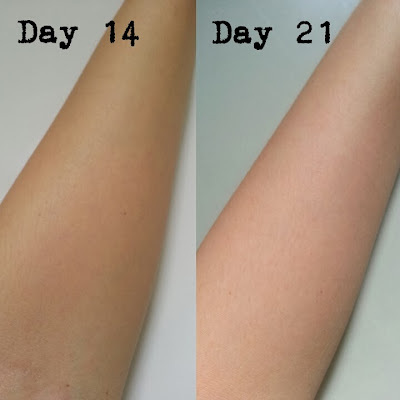 There are hundreds, if not thousands, of products out there that claim to whiten skin from 7 to 21 days of usage. I chose 3 different products as my whitening regimen. So this is not a sponsored post, nor a review of the 3 products but my experience on how to effectively whiten or brighten your skin. 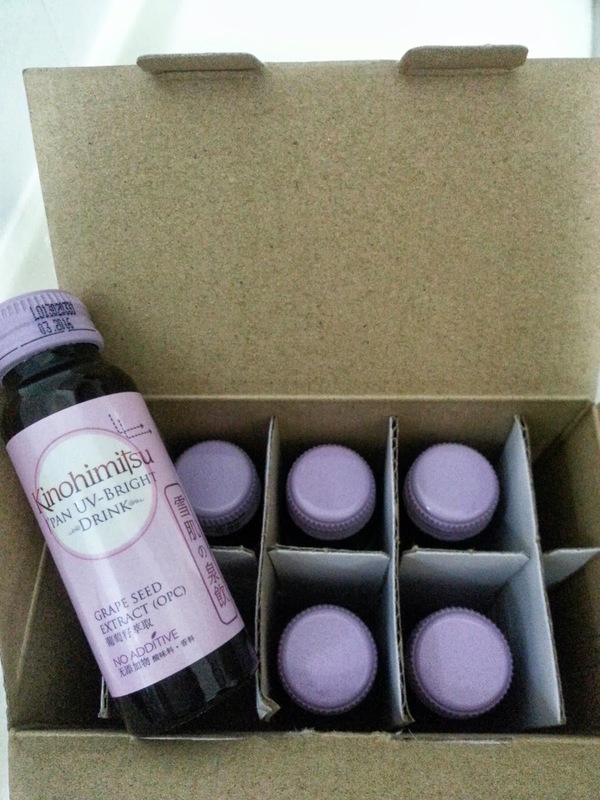 UV Whitening Serum - SGD 9.70 / RM17.90 per bottle or RM23.90 for 2 bottles during promotion. 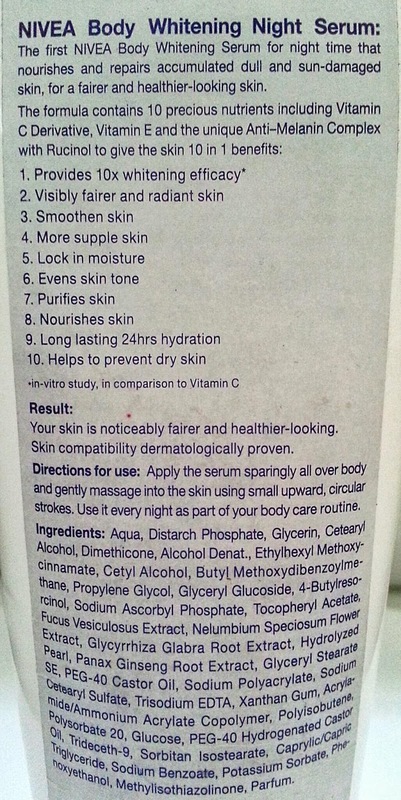 Whitening Night Serum - SGD10.50 per bottle or SGD16.80 for 2 bottles during promotion in Watsons Singapore. Not available in Malaysia yet. Why these 3 products? Simply because they are relatively affordable and widely available in Guardian, Watsons and perhaps your local drugstores or pharmacies. Trust me, you don't want to travel half the globe just for replenishment. 1. I apply Nivea Body UV Whitening Serum SPF 25 PA++ in the morning after shower. 2. Drink 1 bottle of Kinohimitsu J'pan UV Bright Drink in the morning before going out into the sun. 3. 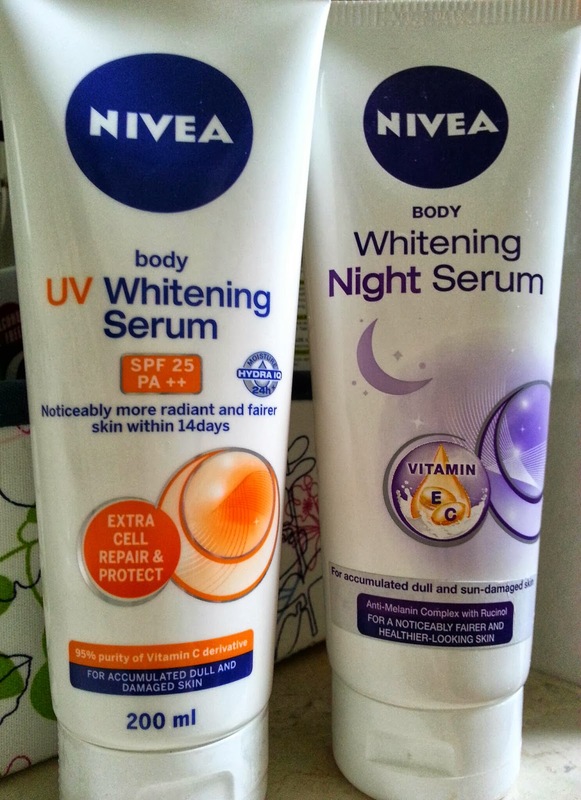 I apply Nivea Body Whitening Night Serum after my shower at night and one more time before going to bed. I did all the above mentioned for a total of 21 days since Kinohimitsu clinical results show effective skin whitening and brightening after 21 days of consumption, although Nivea Body UV Whitening Serum claims to work its magic in 14 days. is this available in the philippines? 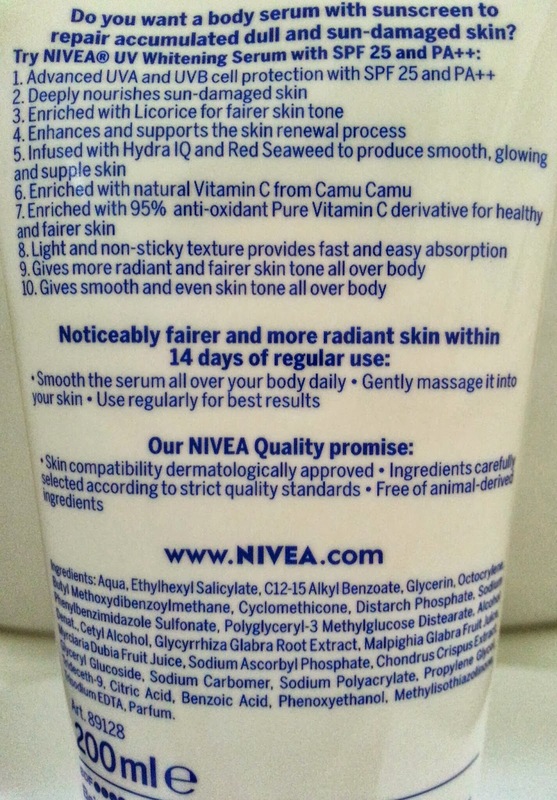 Yes, except for nivea whitening night serum if I'm not mistaken. Yes po. Its available in here in phil.. actually I just bought one last morning. Check out watsons. I can't remember how many boxes that I took but I drank the drink for almost 5 months. If u have pretty bad tan, try taking Glutathione pills. It can be bought at pharmacies. Glutathione works better to whiten skin. Yes, u are right. Vit C maximise the effects of gluthathione. Can you recommend the best Glutathione pill? I guess there is no best pill. It depends on the dosage instead of brand. Recommended dosage for effective whitening is at least 300mg & above. I personally use gluthathione supplements from Vitahealth. It's 100mg per pill. I take 3 pills every night + 500mg of vitamin C. Just fyi, gluthathione need vit C to work well.